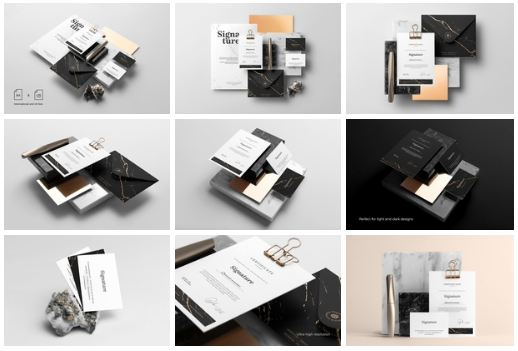 Premium quality branding mockup package allows you to create a full suite of professional stationery mockups in just a few clicks. Give your brand a competitive edge and wow your customers with sleek and stylish stationery. Place Your Design in Seconds - simply copy and paste your brand design in a smart container and you’re done! Customize every detail - you can change colors of all items, add selective foil stamping and replace the background, the same mockup will work perfectly with dark and light designs, giving you full control on your scene. Where you can use it - You can use it to create eye-catching web headers, showcase your print projects, or spread the word on social media. Easy for Beginners - Easy to use templates, with an illustrated PDF and YouTube video tutorials included.